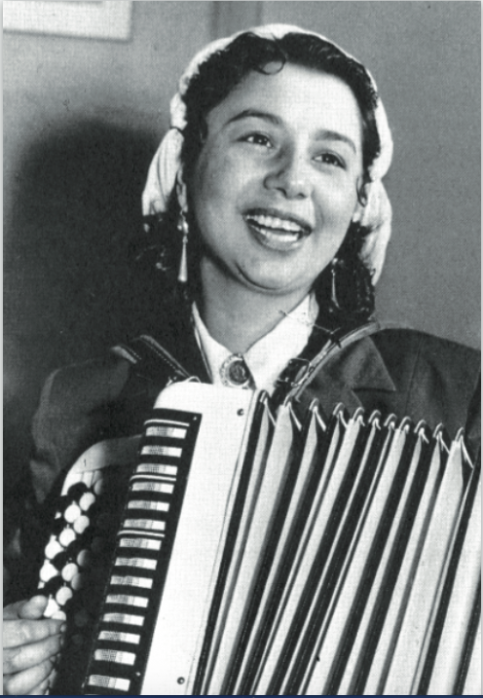 Alfreda Noncia Markowska is a Polska Roma who during World War II saved around fifty Jewish and Roma children from death in the Holocaust and the Roma Genocide. Markowska was born in a travelling Polska Roma tabor (a mobile camp) in an area around Stanisławów, in the Kresy region of the Second Polish Republic. In 1939, the German invasion of Poland caught her in Lwòw (Lviv). After the Soviet Union also invaded Poland as part of the Molotov-Ribbentrop pact between Stalin and Hitler, her tabor moved to the German occupied part of Poland. In 1941 the Germans murdered all the members of her clan (65 to 85 people), including her parents and siblings, in a massacre near Biala Podlaska. Alfreda was the only one to survive. She spent several days searching the local forests for the mass grave of her family. She made her way to Rozwadçw where in 1942, at the age of 16, she married. She and her husband were caught in a roundup of SS while visiting Stanisławów by Ukrainian police who handed them over to the Germans, but the couple managed to escape. Subsequently they were forced to move into Roma ghettos in Lublin, Lodz, and Belzec but they fled these as well and settled back in Rozwadów, where the Germans had organized a labor camp for Roma. In Rozwadów Alfreda was hired on the railway and managed to obtain a work permit which gave her some protection against further arrests. She became involved in saving Jews and Roma, particularly children, from death at the hands of the Nazis. She would travel to sites of known massacres of Jewish and Roma populations and look for survivors. Markowska would bring them back to her home, hide them and obtain false documents which protected them from the Germans. An estimated fifty children were saved by her personally. In 1944 the Soviets “liberated” the area. Because of the policy of the Red Army to forcibly conscript Roma into its ranks, Markowska along with her husband and some of the children she had saved (including some German children who sought to flee Soviet soldiers) fled westward, first into central Poland and then into the so-called “Recovered Territories” in now western Poland. After the war, the communist authorities of the People’s Republic of Poland initiated a campaign to force the Roma to settle and abandon their traditional lifestyle. As a result, she and her family lived first near Poznan then, after her husband’s death, in Gorzów Wielkopolski. In October 2006, Alfreda Markowska was awarded the Commander’s Cross with Star of the Order of Polonia Restituta for saving Jewish and Roma children during World War II. At that time, then-President of Poland Lech Kaczyński commended her “for heroism and uncommon bravery, for exceptional merit in saving human lives”. 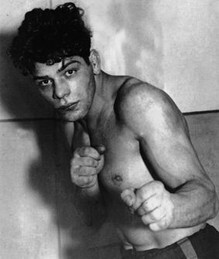 Johann Wilhelm Trollmann (27 December 1907 – 9 February 1943) was a German Sinto boxer. Trollmann became famous in the late 1920s. On 9 June 1933, he fought for the German light-heavyweight title and although he clearly led by points over his opponent Adolf Witt, the fight was judged “no result”. The audience rebelled, and the Nazi officials were forced to acknowledge Trollmann as the victor. Six days later, however, he was again stripped of the title. A new fight was scheduled for 21 July, with Gustav Eder as Trollmann’s opponent. Trollmann was threatened that he had to change his “dancing” style or lose his licence. Trollmann, of Sinti heritage, arrived the day of the match with his hair dyed blonde and his face whitened with flour, the caricature of an Aryan. He took the blows of his opponent as he was asked for five rounds before he collapsed. 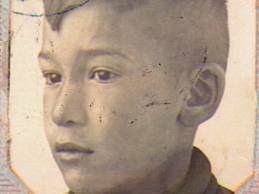 The persecution of Sinti and Roma in Germany dramatically increased in the following years. Sterilization often preceded their internment in concentration camps, and Trollmann too underwent this operation. In 1939 he was drafted into the Wehrmacht, and fought on the eastern front. He was wounded in 1941 and was returned to Germany as a result. The Gestapo arrested him in June 1942, and he was interned in Neuengamme concentration camp. He tried to keep a low profile, but the camp commandant had been a boxing official before the war and recognized Trollmann. He used Trollman as a trainer for his troops during the nights. The prisoners committee decided to act, as Trollman’s health deteriorated. They faked his death and managed to get him transferred to the adjacent camp of Wittenberge under an assumed identity. 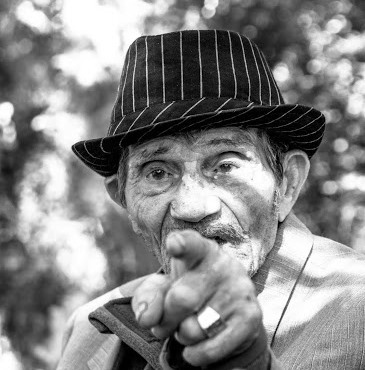 The former star was soon recognized and the prisoners organized a fight between him and Emil Cornelius, a former criminal and hated Kapo (a prisoner given privileges for taking on responsibilities in the camp, often a convict working for a reduced sentence or parole). Inevitably Trollmann won. Cornelius soon sought revenge for his humiliation and forced Trollmann to work all day until he was exhausted, before attacking and killing him with a shovel. Trollmann was just 36 years old. On June 9, 2010, the anniversary of his championship fight, the German artist collective Bewegung Nurr erected a temporary memorial “9841”in the Berlin Victoria Park to honor Trollmann. The memorial was also displayed the following year in Hannover and in Dresden in 2012 for six weeks. The title refers to Trollmann’s prison number. Joseph Serinek was born on 25 February 1900 in Bolevci u Plzně (Czech Republic). Josef Serinek, his wife Pavlina Janečková, and their five children were deported to the Lety u Pisku concentration camp in August 1942, from which he managed to escape less than two months later. He hid in the forest and traveled to the Czech-Moravian Highlands, a feat at which he already had experience. Serinek's rational response to the wartime hysteria and the slaughterhouse of the First World War had been to flee the army and hide with a Romani group of deserters in the Czech forest. After fleeing Lety, however he wasn't just concerned with mere survival. He wanted to stand up to the Nazis and their Czech lackeys. "I wanted a fight, if had been just about hiding, I wouldn't have been there," he recalled. Serinek began to put together a partisan group comprised mainly of Soviet soldiers who had fled Nazi captivity. By June 1943 he was already in contact with one of the biggest Czech non-communist resistance organizations, Council Three, and by September 1943 his unit had 28 members. The forest group of partisans that got together in September of 1943 was never called anything other than "Black's Division" or "Black's Group", as Serinek was leading it and he was "black as asphalt". He got himself a weapon and began to hide out in Vysočina in the network of dugouts in the Haklov Forest, Kutiny, near Daňkovice, below the village of Ubušínek, near Věcov and near Krásný. A total of 150 refugees passed through his unit. In October 1944 he was entrusted with leading a punitive expedition against a police station in Přibyslav in response to the fact that one of the police officers there had shot dead a leader of Council Three, General Vojtěch Luža. The partisans occupied the station and, after an improvised interrogation, executed all of the gendarmes in its basement. The division then split up. The Soviet partisans became part of the Jermak group, while the Czech partisans joined the Doktor Miroslav Tyrš group. Serinek participated in the liberation of the military hospital in Bystřice pod Pernštejnem and in an attack on schools there. "Serinek was a fabulously good person," recalls his comrade-in-arms, Vincenc Koutník, in Bořivoj Nebojsa's book “How it Was with the Partisans”. In that same book, Božena Hartmanová tells the story of how Serinek saved her life. His superior in the resistance, the pastor Otokar Kadlec, ordered Serinek to shoot Hartmanová dead so she wouldn't be able to betray the partisans under interrogation, but he wouldn't do it - "I owe him 47 years of my life", she says in the book. Serinek is said to have been a communist, but he ridiculed the invocation of Stalin and was disappointed both by Soviet paternalism and by the position of Czechoslovak society and the state toward Romani people. 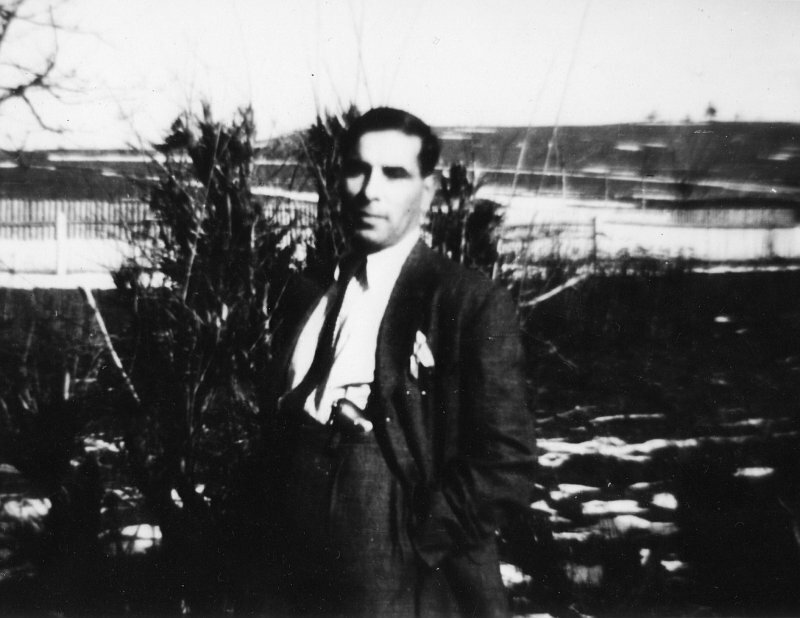 After the war, Serinek opened up the U černého partyzána ("At the Black Partisan's) pub in Svitavy; after the currency reform, he closed it and made his living as a warehouse worker in a brick factory before passing away in 1974. Aleksandr Baurov (Saint-Petersburg, 23/3/1906 - 18/2/1972) was born into a family of Romany artists, musicians and singers, and he himself was to keep their tradition, having taken guitar lessons and performing in choirs in his youth. Yet, the October Revolution changed the course of his life, and he had to find a new profession. He graduated at the College of Electromechanical Communication and worked as laboratory assistant. However, he still played in an ensemble. When the Soviet Union entered the WWII, he was sent to the front in 1941, and he took his guitar to play for his fellow soldiers when there was rest moments. Owing to his skills, he was appointed as officer, as Commander of Communication Support, then as Commander of the 1st Aeronautic Division. He was awarded with an Order of the Red Star and an Order of the Battle Red Banner. He also received an Order of Alexandr Nevsky (a very rare and honorable one) for the forced crossing of Oder river, and a Polish Cross of Valor. He participated in the defeat of Nazism, in the victorious conquest of Leipzig. 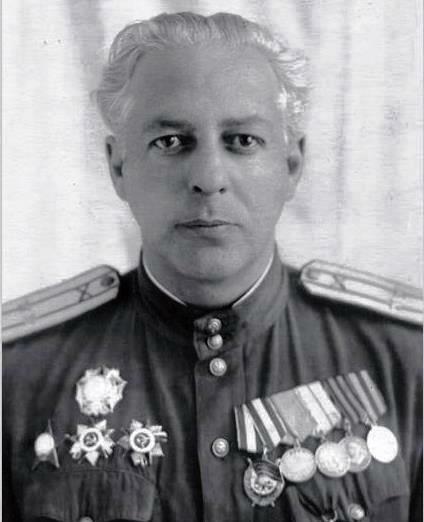 From 1949 to 1955, having the degree of Lieutenant-Colonel of Engineering Corps, he took part in creating and launching of the first Soviet rockets. 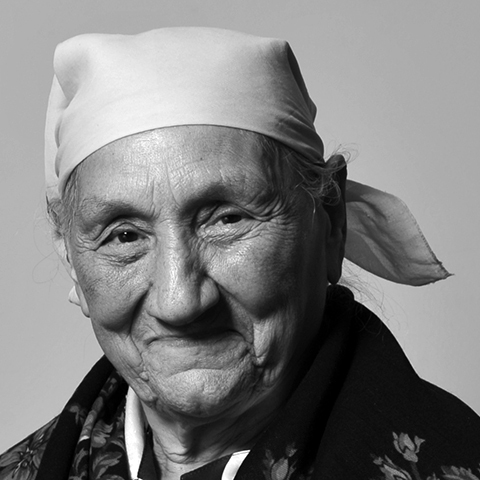 Sofia Taikon was born into a Polish Roma family in 1931. She was living outside Warsaw in 1938, in an happy family life she knew as a child – with what she had thought was an ordinary Polish family. As Sofia grows up, she starts to become aware that many other people do not see her as ordinary; they treat her differently because she is a Roma. Then, in September 1939, the Nazis invade. Sofia’s family go into hiding but are eventually caught and they are sent to a ghetto. She was 12 when, in March 1943, she was imprisoned in the special “Zigeunerlager” (Gypsy camp) at Auschwitz-Birkenau and registered with the number Z-4515. “I was no longer Sofia Brzezinska, 12 years old. Now I was a number, the 4515th person to be registered as a Gypsy prisoner in this camp.” Sofia also has her head shaved, another part of the Nazi’s attempt to strip her of her identity as a human being. Amongst the people who she meets in the camps are some who help her in small but meaningful ways – from a Jehovah’s Witness who gives Sofia food, to a Jewish woman who picks her up off the floor when she wants to give up. Sofia has said herself that it is these people she wants to remember, not those who hurt her. After being separated from her family she was taken to the Ravensbrück concentration camp in Germany, escaping the gassing of the remaining Roma at Auschwitz-Birkenau on 2 August 1944. In 1945, during the last months of the war, the Swedish Red Cross, under its president, Count Folke Bernadotte, launched an evacuation programme for Scandinavians in German concentration camps. White buses marked with the symbol of the Red Cross ferried some 15,000 prisoners to safety, including many other nationalities. Sofi a Taikon was one of them. Unable to find her family, she remained there and met her husband, Janko. She recounted her experiences to her grandchildren and to the author, Gunilla Lundgren. Sofia died in 2005, only months before the original Swedish edition of the comics book “Sofia Z- 4515” was published. The comics book is also translated in English languages and used in the schools for educational purposes. Zoni Weisz born on 4 March 1937 is a Sinto Holocaust survivor from the Netherlands working in the Dutch floral industry. Weisz was the oldest of four children of Jacoba and John Weisz from Zutphen, Netherlands. In May 1944, the family was ordered by the Nazis to be deported to the Westerbork transit camp with other Sinti and Roma during the Porajmos. Zoni made a brief escape with his aunt, but they were quickly found and arrested. They were then deported to the Auschwitz concentration camp. The rest of his family were sent on a deportation train to Auschwitz, but a Dutch police officer and member of the Dutch resistance put Weisz on a separate train that allowed him to eventually escape to his grandparent's home for the remainder of the war. His mother and siblings were all killed at Auschwitz, while his father was killed at the Mittelbau-Dora camp. After the war, Weisz returned to school and began to study horticulture during an internship at Het Loo Palace. After this training, he performed two years of military service in Suriname. Afterwards, he worked at a flower merchant in Amsterdam and studied landscape architecture and art history. In 1958, he took over this business and became a well-known florist, and was listed in the Guinness Book of World Records for having created the world's largest flower arrangement. He has created works for the Dutch royal family, including arrangements for the inauguration of Queen Beatrix and the wedding of Prince Willem-Alexander. Weisz speaks regularly about his experience during the Holocaust. He is a member of the Dutch Auschwitz Committee and the International Auschwitz Committee. He was the keynote speaker at a 2007 United Nations exhibition, "The Holocaust Against the Roma and Sinti and present-day racism in Europe". On 27 January 2011, he was the first Roma or Sinti to address the German Bundestag at the official Holocaust Remembrance Day ceremony, speaking about the liberation of Auschwitz. In his speech Mr Weisz pleaded for better treatment of Roma in Europe and praised the "clear words" of European Commission Vice-President Viviane Reding in the defense of the rights of the Roma against the group expulsions from France in the summer of 2010. Queen Beatrix appointed Weisz to Officer of the Order of Orange-Nassau for his commitment to the Sinti and Roma communities, and for his work in the Dutch floral industry.